SWAN SONG and Stephen King's Misery tied for the 1987 Bram Stoker Award. Incredibly, three decades ago, Robert McCammon created the epic post-apocalyptic novel of the afterwards of a nuclear battle between Russia and the United States. The conflict followed an Afghanistan war and exposed issues in Kabul and Pakistan. 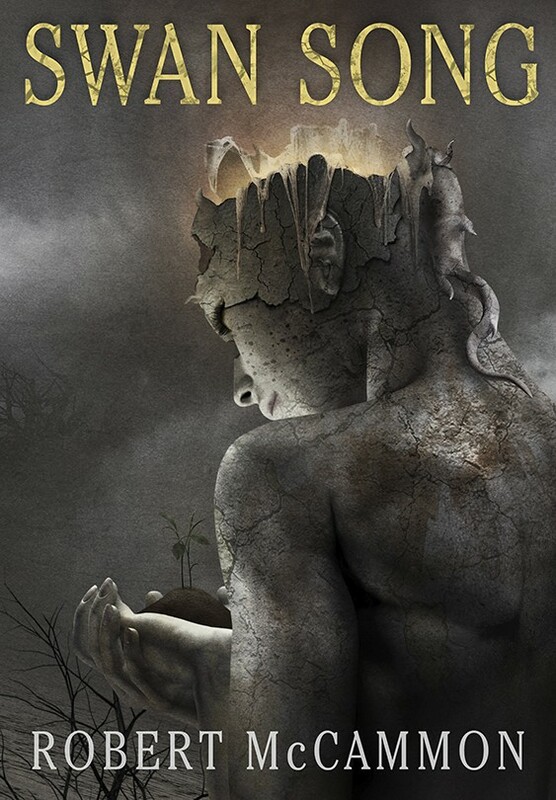 When life on the planet is changed forever, the story explores humanity's struggle to return to civilization. 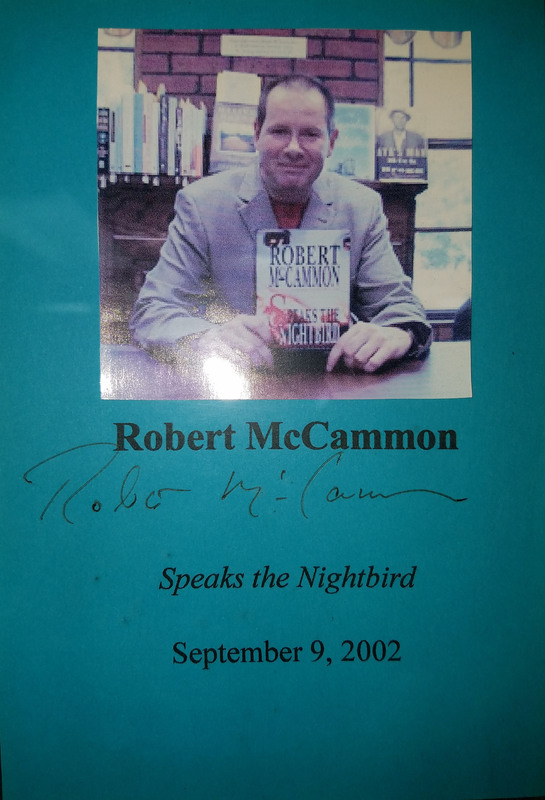 THIS COPY (shown below) was signed and lettered (PC) by Robert McCammon on the limited page. It is a new, unread limited edition opened only for signing. It was published in March, 2017, and sold out on publication date. There were 500 numbered (originally $150) and 52 lettered (originally $400). All came in a gorgeous slipcase and were illustrated throughout. The lettered editions feature a magnificent gatefold by David Ho. The Alabama Booksmith acquired the author's personal collection (lettered P.C.) 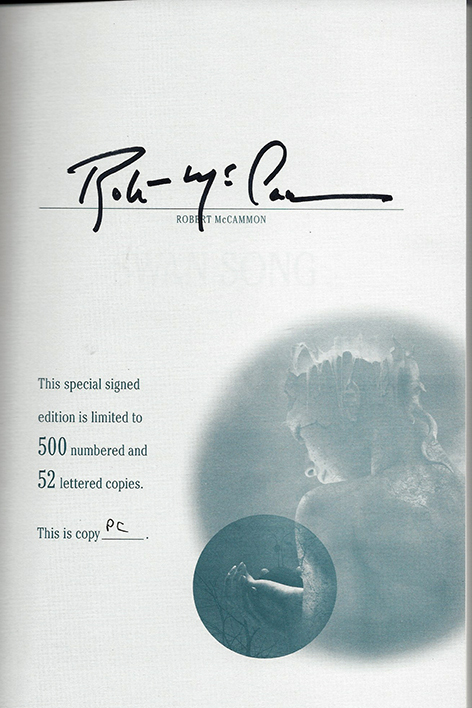 and comes with a parchment certificate authenticating provenance and signed by Robert McCammon.These extremely colectible treasures can be found on the internet for more than three or four times original retail price. THE TOP VIDEO was shot in our stockroom and is a short synopsis of the book given by Mr. McCammon himself. THE BOTTOM VIDEO was shot at the store on December 5, 2017 and features Robert McCammon taking questions about his writing from folks who braved a cold, windy, and rainy night for this unique opportunity.